The Arma 3 Alpha Lite is an open world tactical shooter developed by Bohemia Interactive for PC, released on March 14, 2013 on Steam. Players can obtain a code to play the Arma 3 Alpha Lite via players who bought the full Alpha or gaming news outlets (such as ourselves). The Lite version lacks many features, including modding support and the multiplayer, but still gives players an introduction to what Arma is - a military simulator. Please keep in mind that this game is an Alpha and all its components are up for change prior to its full release. 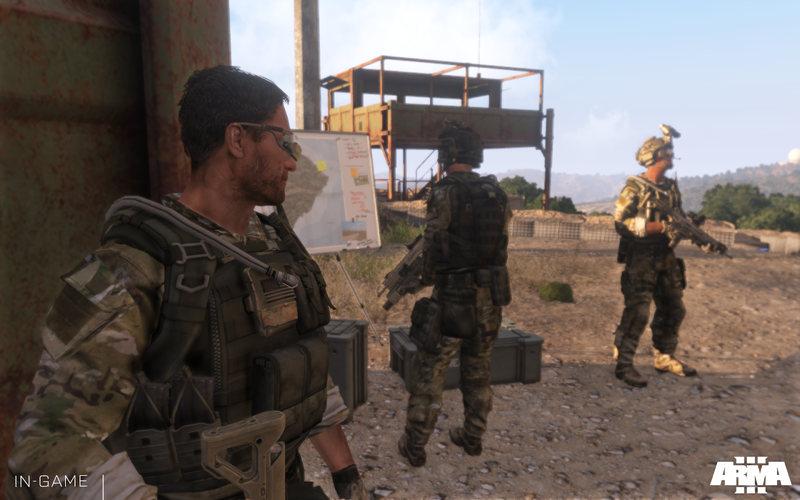 Arma 3 differentiates itself from many shooters by utilizing both first-person and third-person perspectives, which is greatly beneficial in combat. While it is useful, for a more challenging and realistic play through, many players opt to stick with the first-person perspective. Compared to previous games, animations in the third-person have been greatly improved, seeming more fluid and natural. Given that Arma is a tactical shooter, it has a heavy focus on realism. In Arma, “hitboxes” (where you get shot) play a large role in determining your combat effectiveness. For example, getting shot in the arm will severely impact your aim. Similarly, a leg injury will affect the rate of speed at which you move, giving your player a limp. While many games now apply gravity to bullets as well, you must adjust your scope manually in order to place an accurate shot at longer ranges. Given the amount of realism packed into this game, there are many variables to consider, making the learning curve more of a learning brick wall. The amount of controls in this game are staggering, making me refer back to the controls menu every 30 seconds. However, many interaction functions are delegated to the middle mouse button and the spacebar, quickly making them your best friends. Or maybe that title has been already taken by your controller. That’s not a problem, as Arma 3 provides controller support. Not only does it do that, but it’s also dynamic. If your character is in the prone position (lying down), the game disables vibration feedback, giving a bonus to players who like to play tactically. A tutorial of sorts would have been nice for new players to get adjusted to the game, similar to how the Modern Warfare series had training exercises as the first mission. There are the occasional hints that pop-up on the side, but for the most part, it’s flipping back and forth between the pause menu and the game. Giving clearer instructions and more detailed hints would also make it a bit easier to adapt to. Aside from the lack of guidance and introduction, inventory management is done relatively well, although the right-click to transfer objects could be tuned to be react more quickly. The translucent red nicely shows where a specific weapon or object cannot be placed, making it easy to slot an item. Pop-up text boxes would have been nice to have, identifying what each part of the inventory represents. Once again, a tutorial, or even a pop-up box, would have been nice here; it’s not fun to fumble around with inventory in the midst of gunfire. To use the inventory management, you must be in-game. The scenario editor included with Arma allows players to create their own scenarios, hence the name. The scenario editor in the Lite is limiting and also a bit hard to get adjusted to, similar to the game in general. There aren’t many instructions to help you, so just fooling around with it for a few minutes should allow you to learn the basics to create characters and so on. Certain components like weather can be changed, which makes it all that more immersive. Running in the rain does leave footprints which linger for a few seconds before they disappear. Although many factors can be customized, it lacks some capabilities like saving and loading other scenarios, which would have been nice. Even though the scenario editor provides endless possibilities, sometimes it’s just nice to be able to get into the action. For that, we have the four scenario missions, each highlighting a different segment - infantry, SCUBA (underwater), vehicle, and helicopter. The first scenario is pretty traditional, being infantry based. It takes place in a valley, with lots of shrubbery and foliage cover. While it’s used to show improvements from Arma 2’s infantry gameplay including squad-based communication, it also very well shows the importance of camouflage. Without the squad leader’s target, I don’t think I would have hit anything well on my first few tries. Luckily for us beginners, there’s the Recruit difficulty which will put a translucent red circle around enemies, which is beneficial. The inclusion of binoculars makes our lives a bit easier, provided that no one’s shooting at you. One of the objectives of the mission was to fall back to the forest. After looking back at my map, I found that none of my squadmates were doing so, which was a bit odd. While fighting on land is common in all shooters, underwater gameplay is almost completely unheard of. Provided you use the right gun and ammunition, you can even shoot enemies while submerged. 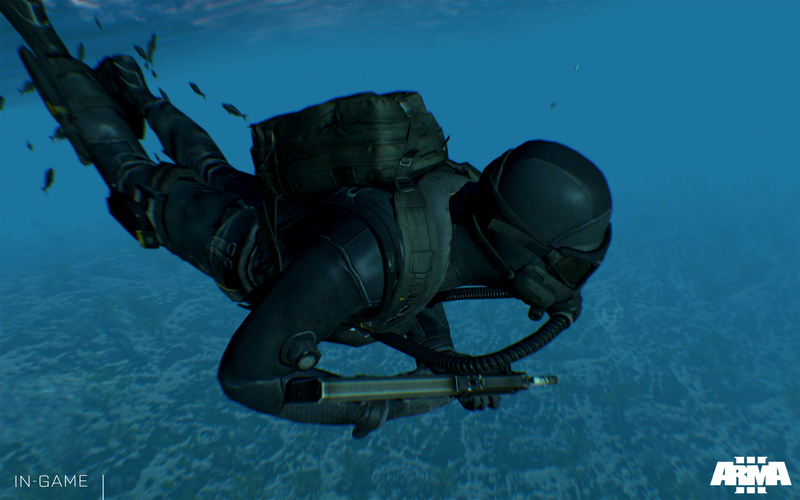 In Arma 3, the SCUBA (not an acronym) scenario allows you to defuse mines underwater, then sneak up on the enemy and destroy vehicles. While this scenario is meant to show the uniqueness of underwater gameplay, it also has an extremely important stealth component. To move into the enemy’s military base, you can be easily spotted by a boat, helicopter, or patrols. As such, players have to keep low and stay behind cover to stay hidden from view. There is a vehicle located in the base, but sadly it is unusable, other than being a supply point for the objective. It’s a bit disappointing, but upon reflection, if it was usable, the mission would be a piece of cake. 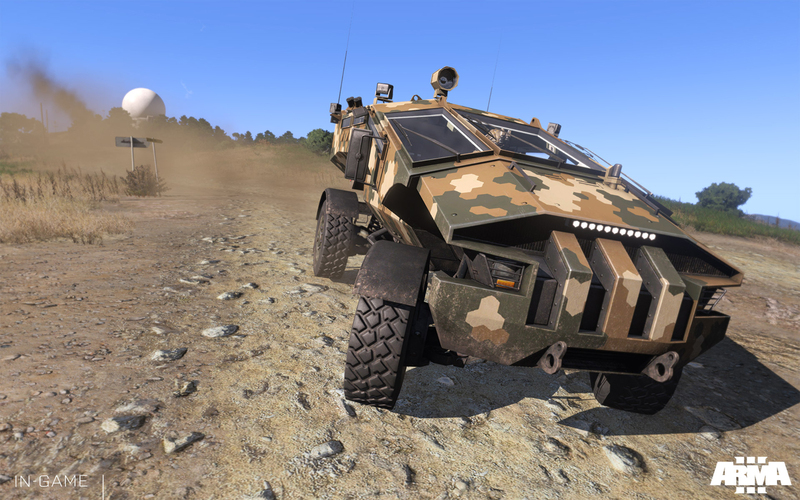 Arma 3 isn’t all about fighting on foot however, there’s also a vehicle component. The controls on the vehicle seem a bit stiff and unresponsive, although that could just be attributed to the realism aspect. Enough quick movements will cause the vehicle to tilt to the side, which is a feat seemingly impossible in other shooters. Crashing into things will also damage the vehicle - a mistake I made quite a few times. The vehicle’s health is available thanks to an interface in the top-left corner, clearly outlining the status of individual components such as the engine and tires. I hope you aren’t scared of heights, but if you are, you’ll probably get over it due to the helicopter component. Helicopters use the same monitoring interface as ground vehicles, but instead of showing the health of your tires, it outlines components such as the main rotor. Aside from having to learn the controls and fuss around with them, the helicopters are controlled similarly to vehicles, with a bit more sensitivity. Due to my terrible piloting skills, I crashed a few times before I could finally figure out how to get the helicopter moving where I wanted to, partially attributed to a bug that constantly pitched my heli backwards. Let’s give Arma the benefit of the doubt and assume it was realistic severe wind interference. On another note, while piloting a helicopter in Arma 3 Alpha Lite, I found that you had to land, exit and reenter the helicopter in order to change seats, contrary to Battlefield 3 where your character could teleport anywhere inside whatever vehicle you operate. Later, I entered the passenger compartment of the helicopter and found that the interior was done with some detail, showing each of the NPCs as well. The graphics here could have been improved as well, but it was nice to see that there were actual seats which your character could sit on, as opposed to having to hang on for dear life. 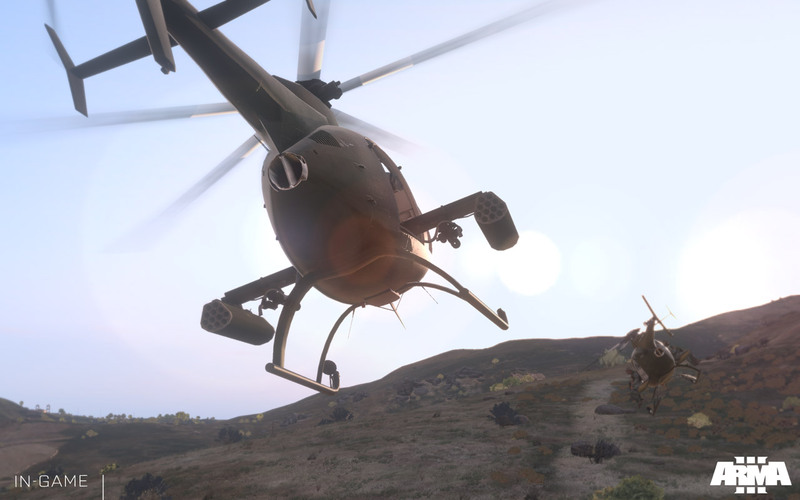 Unlike the interior of the helicopter, Bohemia Interactive put a lot of effort into developing the graphics and environment for the remainder of the game, which have improved significantly compared to previous titles. Shrubbery and trees may appear 3D from farther away, but up close, it’s actually 2D even on ultra preset. This came as a major disappointment, as 3D shrubbery was one of the major demands for Arma 2 fans. While the bushes could do with some improvement, Bohemia Interactive has done an amazing job with environment interaction. Unlike other games, going prone and moving over grass in Arma 3 actually affects its position. If left undisturbed, it will stand tall, but if not, it will lie flat. There’s even an animation for it! However, it seems like the grass tends to move in groups at a time, but having this feature is already an accomplishment. Upon taking damage, your character’s screen will blur slightly periodically to remind you of the pain that your character is experiencing. Additionally, your character will begin panting and moaning to signify their state of health. To improve your health, you can apply a first aid kit, which also slightly changes your camera’s focus. Blood stains also stick to your clothing and the ground; subsequently, you can visually gauge a squadmate’s health condition. The guns in the Arma 3 Alpha Lite feel strong in your hands, unlike the air rifles in Call of Duty. There weren’t many guns in the game to distinguish from each other, but pistols and rifles sound different and range plays an important role to how the weapon sounds. While the vehicle sounds are not the best, at least it doesn’t sound like a Ferrari. 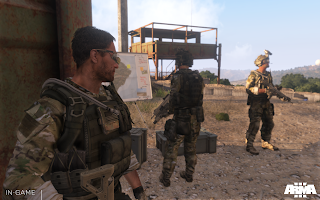 The voice overs for communication have improved compared to previous games in the series, which make the game a bit more interesting, while immersing the player into their role as a soldier. The game’s soundtrack is also very fitting. It’s quite upbeat, combining techno and a whole lot of percussion, which keeps the player alert during gameplay. Unlike some soundtracks that are just purely used to set the mood, the Arma 3 soundtrack was a joy to listen to, in and out of the game. While Arma 3 really stands out from the crowd, there are quite a number of bugs that exist in Alpha Lite. For one, my character kept moving forward constantly, apparently because of pressing the “C” key. However, nothing I pressed afterwards would stop my character, forcing me to restart the mission to fix it. Some graphics bugs also exist when “stepping over” (Arma’s version of jumping) over objects. Meanwhile, in the SCUBA scenario, it’s easy to get yourself glitched in some concrete after exiting the water. A disappointing aspect of the game were the relatively long load screens. However, I expect this to improve over time as the game advances to the Beta and its final release. Patching up the controls and bugs would easily make this game very fun to play. Introducing a tutorial mode would be really beneficial for newer players, which I feel this game will attract. 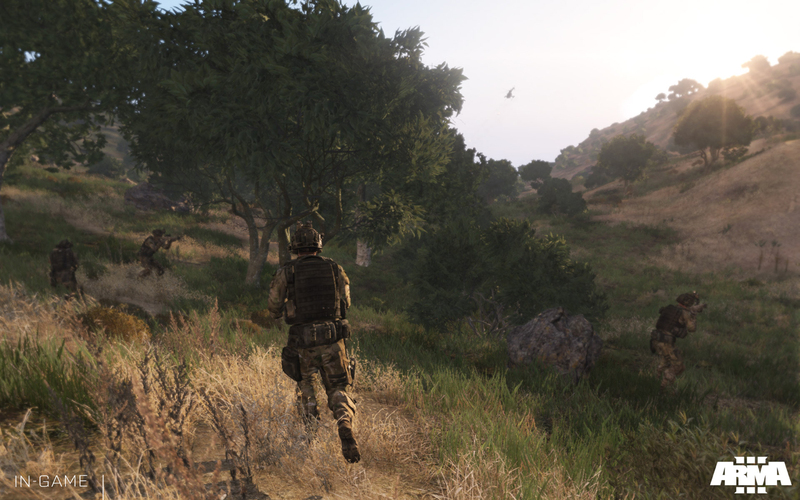 All in all, the Arma 3 Alpha Lite is a great way to enjoy the Arma experience. Many players enjoy the fast-paced gameplay of Call of Duty or Battlefield and the rush that comes along with it. Rest assured, even if Arma requires some tactics and patience, it still has an adrenaline rush, although in a different flavor. I encourage all fans of shooters to go out there and find a code (or enter below)! For Arma veterans, I’m sure this game is a must-buy for all of you. For newer players, go ahead and play if you’re a fan of realism or if you’d like a nice challenge. 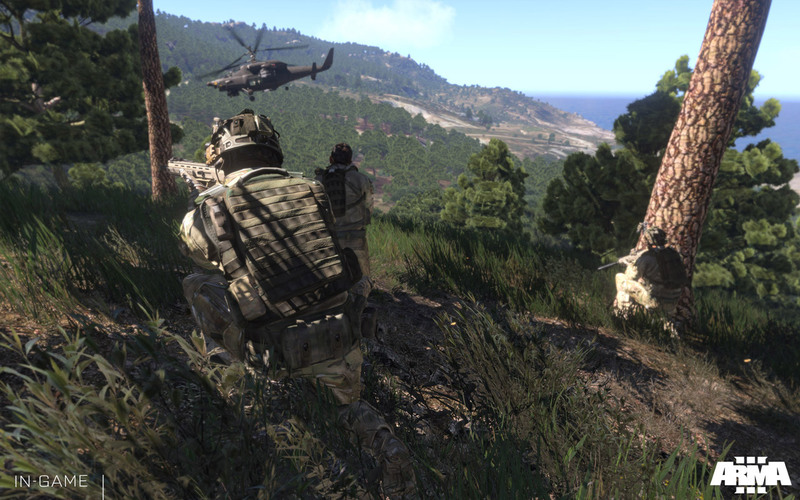 You can find the full Arma 3 Alpha on Steam. The Arma 3 Alpha Lite ends on 18 June 2013. GIVEAWAY: We have Arma 3 Alpha Lite keys to giveaway on Facebook! Disclaimer: Bohemia Interactive provided us with a key for the Arma 3 Alpha Lite (no retail value). This is an updated version of a previous review.